Larami Corp. 1979. 5″ tall. It might be a stretch to call this a “machine” but that’s what it states on the packaging. 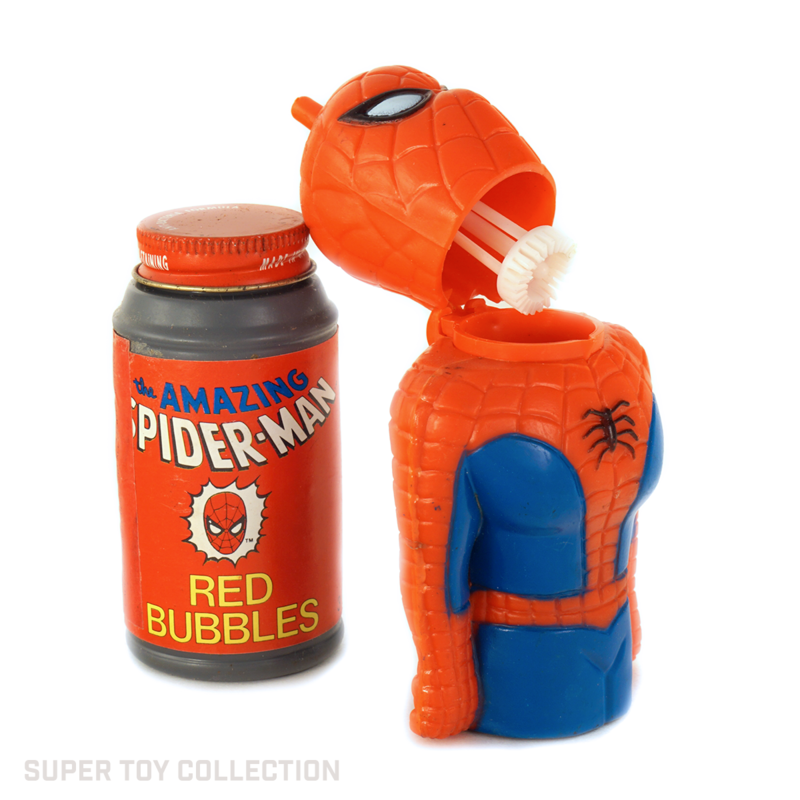 A child would blow into the straw to make bubbles pour forth from Spider-Man’s open neck. 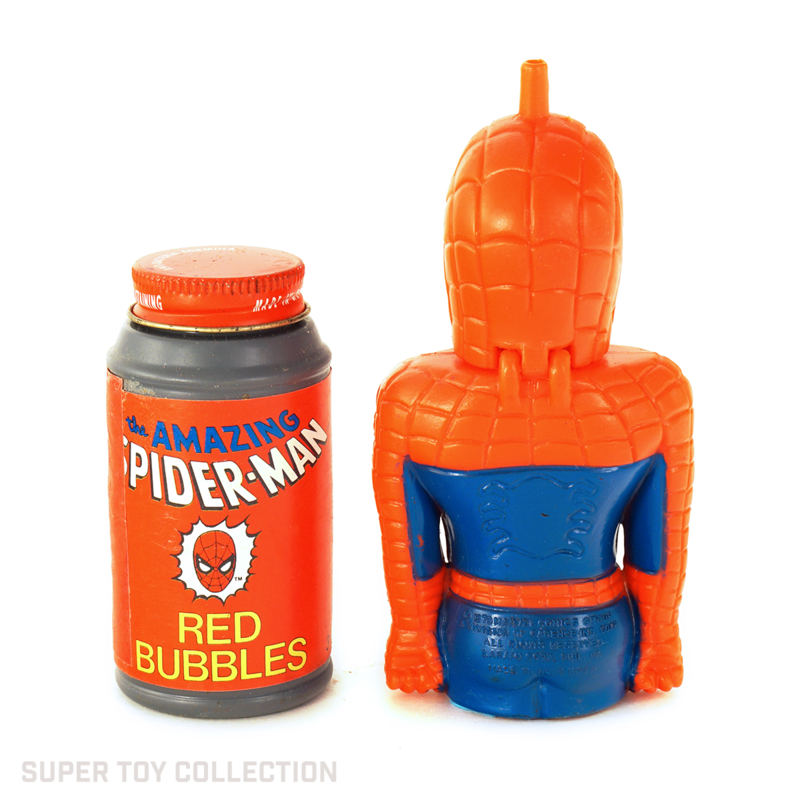 Larami also produced a Hulk version of this toy. 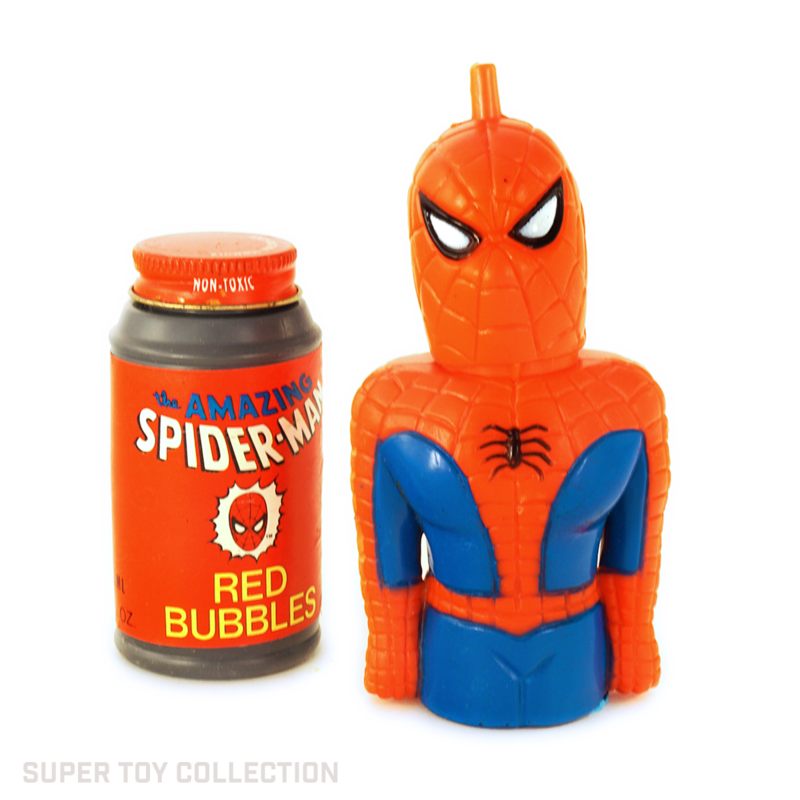 VINTAGE 1978 MARVEL COMICS AMAZING SPIDER-MAN BUBBLE BLOWER-LARAMI-Ships FAST!